What are the latest regulations for driving in France? Whether you’re planning a holiday in France or driving over for business, make sure you’re up to date with all the regulations that will cover your entire journey. From the documents and equipment you need to carry with you, to the new ‘clean air’ sticker required in some French cities, remember that driving in France isn’t as easy as just hopping on the ferry in your old reliable car. Depending on the outcome of Brexit, you might need different documentation to before: you'll probably need an Insurance Green Card and an International Driving Permit. You will also need at least six months on your passport. Stay up to date with how Brexit might affect foreign driving by checking the latest government advice on driving in the EU after Brexit. Alcohol limits: If you have less than three years’ driving experience, the alcohol limit is 0.2g per litre. If you have more than three years' experience, the limit is 0.5g per litre. Both are lower than the UK limit of 0.8 grams per litre. Wearing headsets and headphones while driving, be it for music purposes or for phone calls, is prohibited – for both car drivers and motorcycle riders. You could receive a €90 fine. However, this excludes motorcycle helmets that have integrated systems. Motorcyclists are required to have reflective jackets to be worn in the event of a breakdown or an emergency. The Low Emission Zone (LEZ) in Paris means that diesel and petrol lorries and buses made before 1997 are banned, and petrol and diesel cars registered before 1997 will are banned from 8am to 8pm on weekdays. By 2020, only vehicles made in or after 2011 will be allowed. You cannot drive a car or ride a motorbike until the age of 18 in France, even if your own driving licence qualifies you at home. You must display a ‘clean air’ sticker for driving through Paris, Lyon, Grenoble, Lille, Strasbourg and Toulouse. Test your knowledge - take our Driving Abroad Quiz! What are the speed limits in France? Unlike the UK, they are variable, and also depend on the weather and road conditions. There are two sets of speed limits in France, one for dry weather, the other for wet. If it's less than two years since you passed your test, the lower wet weather limits apply at all times. What’s the new French ‘clean air’ sticker? 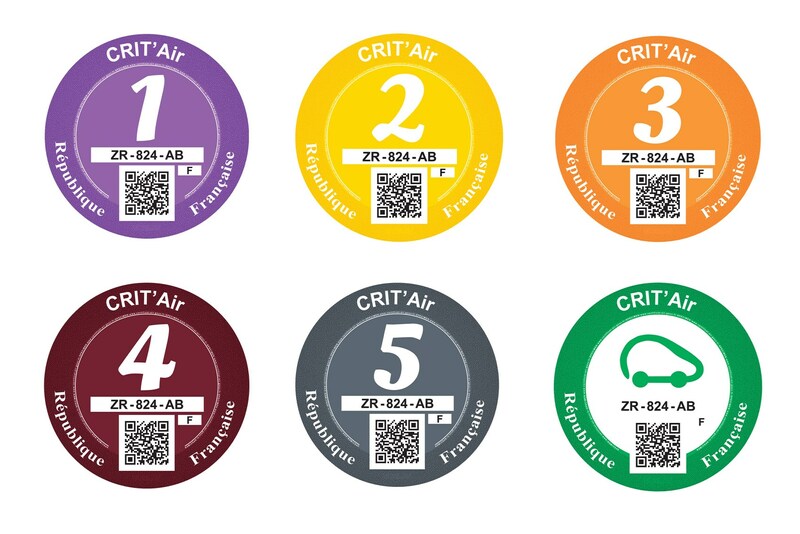 If you’re planning on driving in France soon, make sure you check your routes as some cities now require a new ‘clean air’ sticker. Called the Crit’Air vignette, you need the sticker to drive through Paris, Lyon, Grenoble, Lille, Strasbourg and Toulouse. Mayors of the areas concerned will have the power to ban the worst polluting vehicles from urban areas on days of high pollution. Although restrictions only apply on those days, your sticker must be displayed at all times. This is a legal requirement, and failure to do so could result in a fine of €68 for light vehicles, and €135 for heavy goods vehicles. How do I get a French ‘clean air’ sticker? Visit the website certificat-air.gouv.fr/en - the site is all in English and easy to follow, including FAQs. To apply for a sticker, you will need to scan and upload your car’s registration document (V5C). The file must be must be in .pdf, .png or .jpeg format and must not exceed 400kB. The process can take up to six weeks, so order well in advance of travel. How much does a French ‘clean air’ sticker cost? The stickers cost €3.11 plus postage, and will last for the lifetime of the car. What vehicles need a French ‘clean air’ sticker? All vehicles, including cars, heavy goods vehicles, buses, coaches, and motorbikes require a sticker; there are six different types of sticker, depending on the vehicle’s class, based on its emissions. The sticker must be placed on the front of the vehicle. Other French towns are considering implementing the use of ‘clean air’ stickers as well. 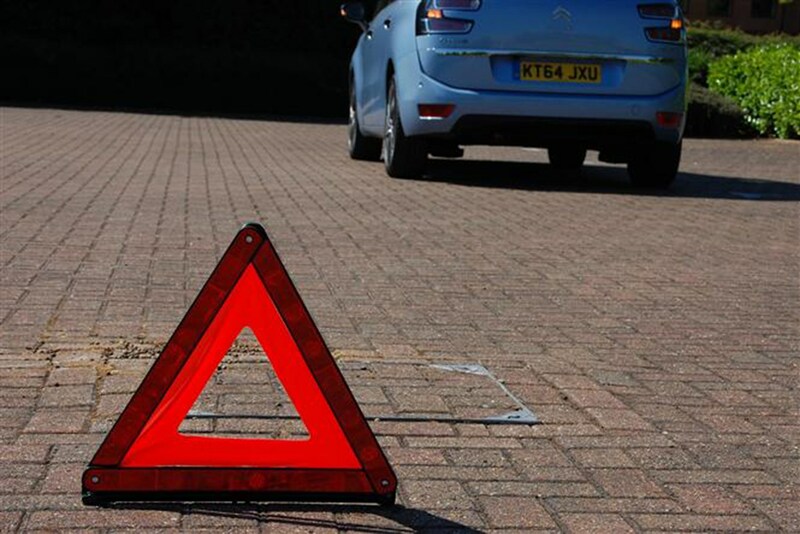 Motorways are privately managed, so you cannot phone your own breakdown company. Instead, you must use one of the orange emergency telephones to call the police or local breakdown service. If no orange phone is available, call the emergency services on 112. When driving in France, pay attention to all the road signs - there is an old tradition of giving way to cars emerging from junctions on the right. This is taken for granted by many French drivers, even though new road signs dictate this isn’t the case on many road. Pay attention to all road signs, which should tell you whose priority it is - but as a general rule of thumb, slow down and be prepared to give way to cars turning into the road from the right. 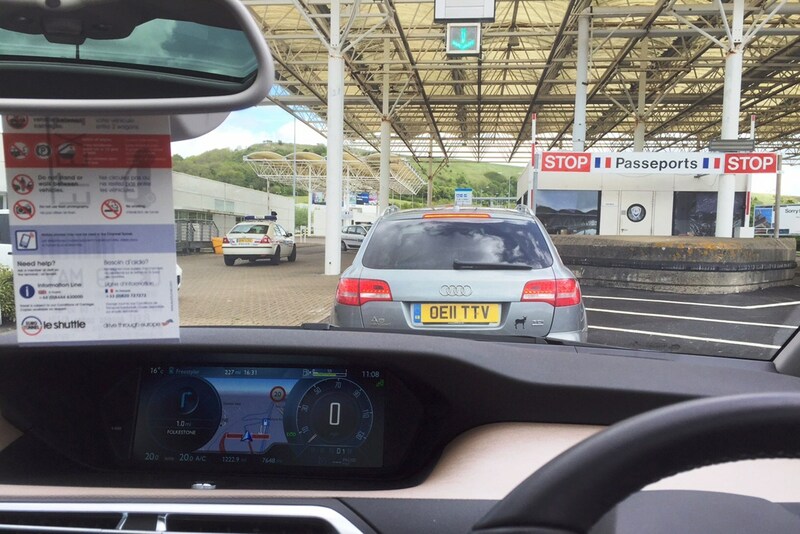 Whether you arrive in France via a ferry or the Channel Tunnel, you won’t get a chance to practise driving on the right. Be confident, keep up with the traffic flow, and remain alert to making manoeuvres the opposite way around to usual. Pay particular attention when overtaking, which will be on the left, especially on single carriageway roads where it might prove difficult to see around a slow-moving truck in your right-hand drive car. A front-seat passenger might be able to assist, but remember responsibility always remains with the driver. Roundabouts can prove tricky the first few times you encounter them but before long it feels second nature. Remember to give way to traffic already on the roundabout - apart from at l’Arc de Triomphe in Paris, where it’s still every man and woman for themselves. 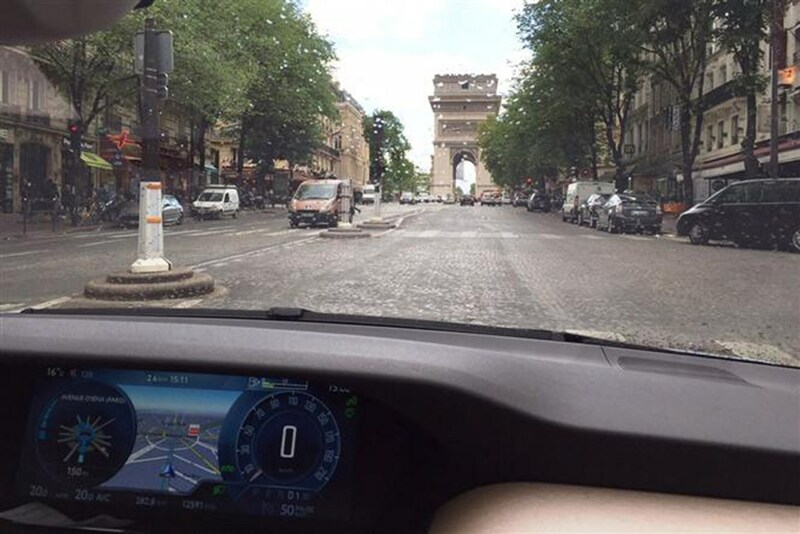 What are the rules when you're driving in France? Some French police authorities are authorised to impose and collect on-the-spot fines of up to €750. Cross-Border Enforcement means if you commit a speeding offence in France, or a number of EU countries, your licence details are available to the authorities in the country the offence was committed. So don’t assume that because you’re abroad, the authorities can’t access your details and chase you for a fine. Take our Driving Abroad Quiz! How much do you think you know about driving in Europe? Take our fun quiz to find out!